In the Industry 4.0 and IoT era, packaging plants have to be automated, versatile, efficient and interconnected! SMI solutions for the end-of-line secondary packaging are designed to meet these requirements and can be applied to several sectors. For instance, chemical and pharmaceutical companies need to protect packaged products in order to avoid tampering or misuse. 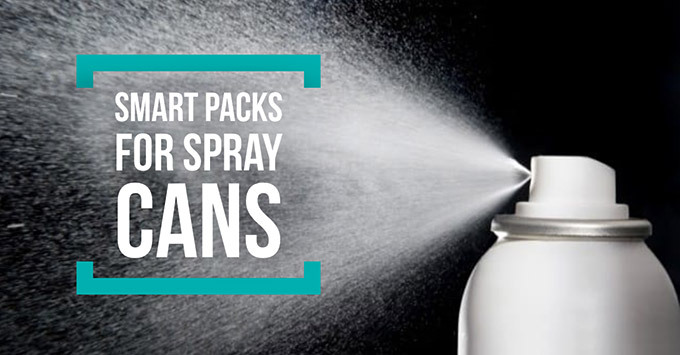 The choice of the most suitable type of packaging has to take into account the features of the product and the substances contained, such as aerosol and spray containers. Among the several packaging practices available for protecting these products, SMI provides packaging with corrugated cardboard through wrap-around cardboard cases or tray-only realized by the LWP ERGON case packer series. 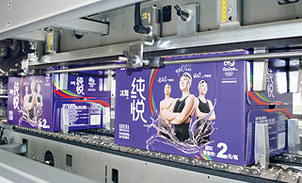 The wrap-around packaging system involves the use of a single machine – the case packer – to form the cardboard case and enclose the containers. 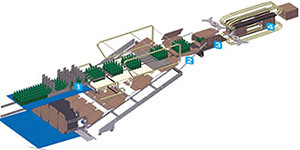 It is an economic and compact solution, suitable to any end-of-line logistic system. The wrap-around corrugated cardboard cases are shock-resistant and are thus the ideal solution for preserving the integrity and the quality of delicate products such as the chemical and pharmaceutical ones. Moreover, this type of pack is a great marketing tool, thanks to its extensive opportunities of graphical customization, which make it an effective promotional tool of the product marketed. The packs realized by the wrap-around case packers are more stable. 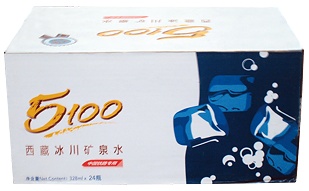 The cardboard blank is bent and accurately wrapped around the products, which at the same time are grouped in the desired format, without machine downtimes. With the wrap-around system, several types of containers can be packed in cardboard cases, completely closed or semi-closed, with or without pre-assembled cardboard dividers, in cardboard trays with rectangular and octagonal base, in trays with walls with the same height or with different heights. The range of SMI case packers allows to have flexible, efficient, eco-friendly production, easy to manage and to monitor within the packaging lines of several commodities sectors. To get further information, contact SMI sales department or visit our website.